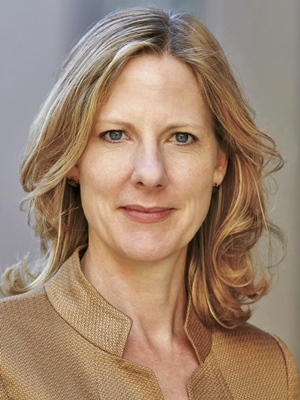 Yale Law School has selected Heather Gerken as its next dean, succeeding Robert Post. Gerken will become the 17th dean of the law school and the first ever woman to hold the position starting 1 July. Gerken, the school’s J. Skelly Wright Professor of Law, is regarded as one of the United States’ foremost scholars in constitutional law and election law. She was an associate at Jenner & Block between 1996 and 2000 before she taught at Harvard Law School as professor, reported Bloomberg Law. She also worked as an appellate lawyer in Washington, D.C. and served as senior advisor to the 2008 and 2012 runs of the Obama campaign. At Yale Law School she founded the San Francisco Affirmative Litigation Project, a collaboration with the San Francisco City Attorney’s Office that lets students work with lawyers in public interest lawsuits. Gerken finished her A.B. from Princeton and J.D. from the University of Michigan. She also clerked for Judge Stephen Roy Reinhardt in the U.S. Court of Appeals and then for Supreme Court Justice David Souter. In his announcement, Yale president Peter Salovey credited Gerken as the founder of the “nationalist school” of federalism, focusing her work on federalism, diversity, and dissent. The National Law Journal’s Karen Sloan said law professors describe her as “thoughtful” and as a “serious intellectual.” David Lat, Yale Law School alumnus and founder of Above the Law, said Gerken’ colleagues respect her. Above the Law reported Gerken’s selection before the official announcement of the school. According to Lat, one of Gerken’s focuses will be diversity at the school in terms of gender, race and economic background.